Originated in the 15th century, Golf has become one of the most popular and eagerly followed games. Due to its simplicity, style and grace mainly developed due to the Divine natural environment it is played within, Golf is presently played in 208 of the world’s 245 countries. Allsportspk presents a pick of top golfers of the past and modern era, who reached the pinnacle of this sport and can be claimed as legends. 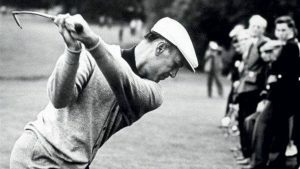 Nicknamed as “The Hawk”, “Bantam Ben” and “The Wee Iceman”, Ben was clearly not short on acquiring nicknames through his exceptional performances in golf. He died in 1997 but is still considered one of the greatest golfers of all time as he is one of the only 5 professional golf players to have won all 4 major championships in this sport. His most profound characteristic was his ability to strike the ball. And, it was this ability of his that allowed him to win several titles in his career. Ben Hogan won the U.S Open 5 times, PGA Championship 2 times, Masters Tournament 2 times and The Open Championship 1 time in his career. 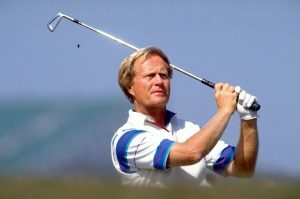 Born in the United States, Jack Nicklaus always had the talent to become a great golfer. Nicknamed as “The Golden Bear”, Jack spent more than 25 years playing this sport. And, in this long yet prestigious career, the golfer won over 18 career major championships. Moreover, in the major part of his career his focus remained mainly on major championships in golf. And, this is the reason as to why he won so many of them. He has a total of 73 wins in the PGA Tour followed by his 6 masters, 4 U.S Open, 3 British Open and 5 US PGA wins. His achievements didn’t go unnoticed in as he was awarded the Congressional Gold Medal; A prestigious award for excellence and sportsmanship. 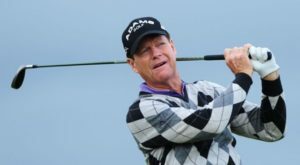 Tom Watson is the prime example of the expression that “Age is no number” as he nearly had a chance to win the 2009 Open Championship at the steep age of 59. But, his golden era in this sport was between 1970 to 1980, in which span he won a total of 8 major championships and remained the number one player in Golf for a considerable amount of time. Overall, he won 2 Masters Tournaments, 1 U.S Open and 5 Open Championships in his glittering career. 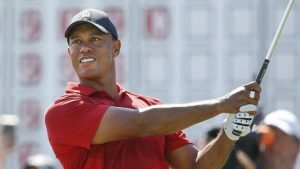 Not only is he a legendary golfer but Tiger Woods has also been one of the highest-paid athletes in the world for quite some time. And, although he is playing the ending days of his career, however his efforts & achievements cannot be overlooked. Woods has 79 wins in the PGA Tour followed by his 4 Master and 3 US Open wins. The train of his achievements doesn’t stop here as Tiger also has 3 British Open and 4 US PGA titles to his name. 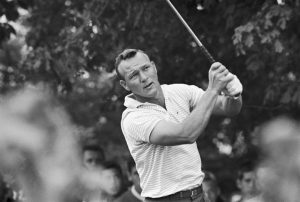 Nicknamed as “The King”, Arnold Palmer is still considered as one of the most charismatic players in the history of this sport. His golf career spanned over a total of 6 decades in which he dominated almost too easily over his fellow golfers. Not only was he an excellent golfer but he was also the most popular one as his performances made him a brand during that era. In his shining career Palmer won a total of 62 PGA tour titles, plus he also won the Masters Tournament 3 times, U.S Open 1 time and The Open Championship 2 times in his career. Annika Sorenstam is of Swedish descent and holds the record winning 8 Player of the year awards. 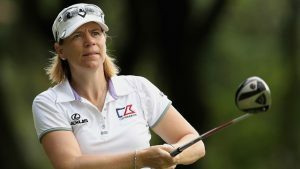 With a total of 72 total wins in the LPGA Tour and 17 wins in the Ladies European Tour, Sorenstam is highly regarded in golf circles all around the world. 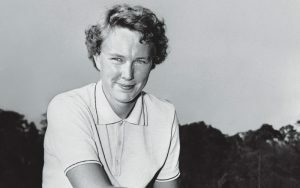 Furthermore, she is also the 1st women ever to play in a tour event in 1945. Her total earnings of $22 million and 6 Vare Trophies is a clear indication of the golf skills that helped Annika touch the peaks in her extensive golf career. 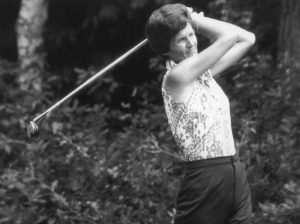 Known by her nickname “Mickey”, Wright won 5 major golf titles several times in her career. Winning titles came easy to Mickey as the first title was won by her when she was at in school. She continued her career in golf and this decision rewarded her greatly as she became the 2nd all time winner of PGA Tour with a total of 82 wins to her name. Moreover, she also won 5 major golf championships namely Western Open, Titleholders Championship, ANA Inspiration, Women’s PGA Championship and U.S Women’s Open. Her performances were recently recognized as she was named in the PGA of America’s Hall of Fame in 2017. Kathy Whitworth is the first woman to reach $1 million earnings on the LPGA Tour. This figure alone is an indication of the potential she had as a professional golfer. But her records are way more than that. She has won 3 major golf championships namely Western Open, Titleholders Championship and Women’s PGA Championship. However, her most notable achievement is her record wins of 88 in the LPGA Tour, which is still unbroken to this day. Her name is included in several hall of fames including New Mexico Hall of Fame, Women’s Sports foundation hall of fame and Texas Sports Hall of Fame. This was Allsportspk list of the legendary golfers. If we missed out a name, then comment down below and let us know!